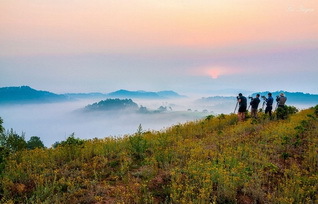 Tourists to Dalat tend pay a lot of attention to French ancient villas when coming here, but not many of them know about a 240-year-old ancient house that carries most characteristics of old Vietnamese. 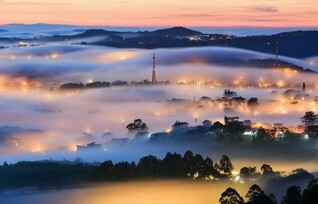 It is the ancient house located in Dalat Dream Hill resort. Romantic late afternoons give peaceful space as the name of the Resort, Dreaming Hill resort, sounds. Sunbeams spreading through leaves of pine trees create a peaceful scene for the ancient house like a suburb neighborhood with flocks of pigeons flying around. The house is located on the left side of main gate of the resort. 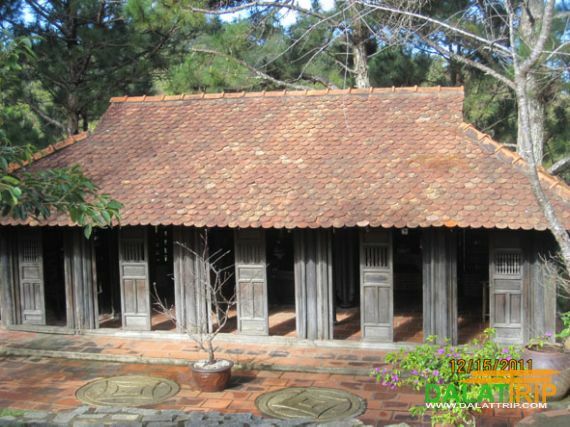 According to reliable documents, the house, built in 1772 under Tay Son dynasty, belonged to landlord in An Hoa hamlet, Nhon Khanh village, An Nhon district, Binh Dinh province. The house has been handed down from many generations of the Lam family as a place to worship their ancestors. The last heir of the Lam family is Mr. TUY Lam Thanh. In 2003, because he was not able to take care of the house, Mr. TUY Lam Thanh presented his house to Dream Hill Resort for preservation and for serving as place for visiting. The house was made by various rare woods, such as xoay, go, rom, kien kien, muong, etc. Typically, the house was entirely made by wood and bamboo; no nails were used. In the past, constructors cleverly assembled pieces of wood by latches and wedges; hence, parts of the houses were easily removed and mounted when needed. In order to deal with harh climate in the central region of Vietnam, the carpenter made the house surrounded by wood and bricks to avoid outside heat. Therefore, inside the house, it is warm in winter and cool in summer. Two sides of the house consists a system of “semi-doors” which means one side is fixed and one side open to welcome winds to cool the house in summer, or close to prevent cold winds in winter. The middle section is used for worshiping. The left one is for men and the right one is for women. Only men could enter the central place to worship ancestors; women just did their cooking in the kitchen and prepared food for worshiping ceremonies. Therefore, in the middle section, a threshold door was built to avoid women entering the room. At the main door of the house, they also constructed a low threshold door for long step and bend down our body to show respect when entering the house. If they did not bend down their body, they would fall. If they had dared to step on doorstep, they would have been considered insolent; hence, they would offend the homeowner. On the top of house roof, they hung a big bowl in order to turn away ghosts and unlucky things. On Tet holiday, with a thought that ancestors would be prevented from entering the house by the main door, they also opened another door behind the altars and they named it Yin (i.e. in Ying and Yang) way. Ancestors came home through the Yin door and windows. Homeowners also decorated the house with many sacred symbols, such as bats (symbolizing auspiciousness) or an eye (symbolizing good observation from the other world). At present, in the ancient house, the Managers of Dream Hill Resort has also put a marvelous wooden turn table to make the house more sacred and ancient. In the past, the turntable was used for having family daily meals. Then, they discovered that it could turn around by human thought/mind. Many tourists have curiously tried to turn it by their thought; some could do, some could not. Various experts have tried to bust the mystery, but no conclusions have been made up to now. Thanks to its unique design, archaeologists and architects highly appreciate this ancient house that carries traditional types of ancient Vietnamese and reflects the beauty of culture and history of our ancestors. Therefore, the appearance of an over 200-year-old ancient house at Dalat Dream Hill Resort plays an important role to enrich tourist products as well as to preserve cultural values of our ancestors.